(Akıncılar), has launched an online campaign aiming to raise £7,750 for his mini drama set in modern-day North London. To date, £1,970 has been pledged to the project. Our Cyprus stars renowned British actor Peter Polycarpou (Birds of a Feather/TV, Les Misérables/stage and Evita/film) who plays the lead Mehmet Ali, an elderly Turkish Cypriot who remembers a happily mixed Cyprus before the island was divided; his home village of Luricina the perfect example of Greek and Turkish Cypriots living side-by-side as friends and neighbours. 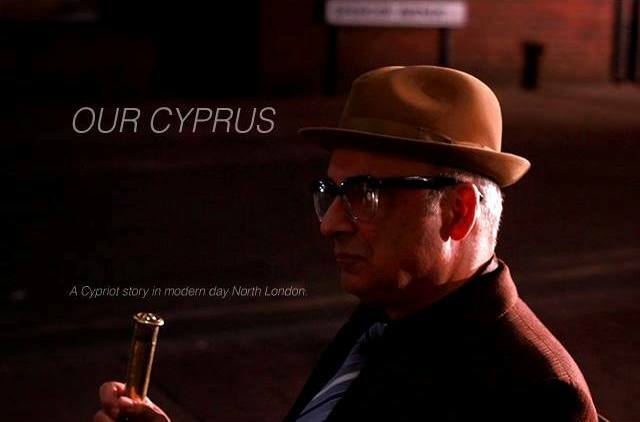 Mehmet Ali meets Andreas, a young UK-born Greek Cypriot whose life has been shaped by the Cyprus Conflict. For him, Turkish Cypriots are the enemy. Yet Mehmet Ali feels an affinity to the young man. What will it take for these two people to overcome a lifetime of hatred and to once again become friends? Homing in on the human perspective, this universal story about two communities torn apart by a political conflict could just as easily be about a Palestinian and an Israeli, or a Protestant and a Catholic from Northern Ireland. That it is about Cyprus during a time of renewed hope for the island’s unification is perhaps a positive omen – certainly a sign of the times. Alkin is one of the UK’s emerging filmmaking talents, whose work has attracted the support of industry bodies Creative England and the UK Film Council, The Turkish Cypriot writer/director first made his mark directing commercials for the likes of Sony PSP and BMW, before turning his hand to writing and producing a number of short films including RUF 992M. Currently penning a script about an epic historical drama for Ardor, an independent production company, Alkin hopes to go on and make his own full-length feature film, Goats & Sheep, which is set in Luricina in the 1920s. The fundraising campaign for Our Cyprus runs until 20 June. Donations can be as little as £5, which gets you a public thank you. For £10, you’ll receive the film poster. £75 will get you an invite to the film’s premiere, and for £150 you can also star in the film. There are multiple other levels up to £1,000, which offers two people the chance to be credited as an Executive Producer. London forms the last leg of this quartet’s European Tour. The rock outfit were last in the capital in 2009. Since then, Seksendört have released their third album, Akıyor Zaman, dueted with label stable-mate Hande Yener on Rüya (2012) and separately in the same year with the legendary Orhan Gencebay on Dokumnma. 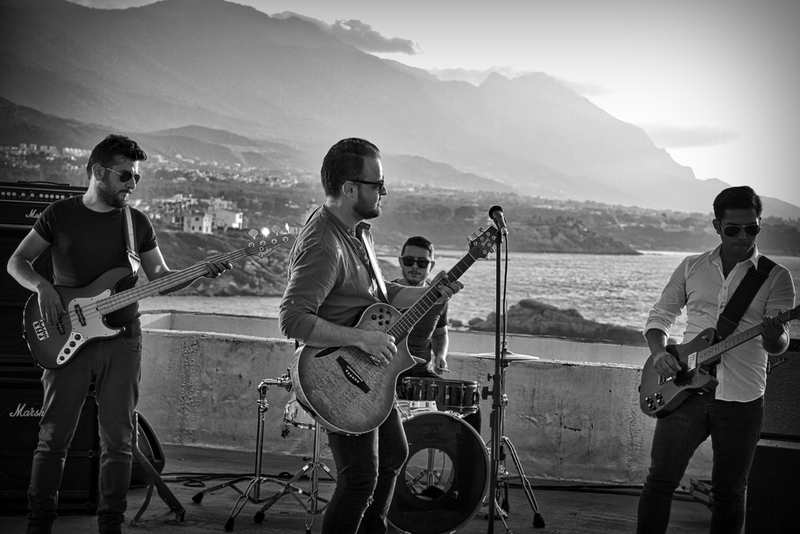 They’ve also penned hit single Faili Meçhul (2014) whose video was filmed in Girne by award-winning British Turkish Cypriot director Serdar Ferit. Under the direction of top producer İskender Paydaş, the track is a nod to the 70s, an uplifting Turkish rock-folk tinged ditty about a romance doomed to failure. Formed in 1999, the band comprises four friends from Ankara: Tuna Velibaşoğlu (lead singer, guitar), Arif Erdem Ocak (guitar), Okan Özen (bass guitar) and Serter Karadeniz (drums). They cite their influences as Moğollar, Athena, Erkin Koray, Duman, Mor ve Ötesi, and maNga. While steeped in rock their past concerts have also included unexpected songs, from covers of their favourite Turkish singers to Turkish Classical Music. As they take to the stage without a support act, expect more surprises from Seksendört during an extended set at the O2 Academy in Islington on Sunday 14 June. Tickets: special rate for T-VINE readers: £22.50 including booking fee – only while stocks last! Summer time means wearing fewer layers, but also becoming more body-conscious. Few people are blessed with having a high metabolic rate, allowing them to burn off whatever they eat. The vast majority of us will put on weight if our intake of daily calories goes up, while our physical activity levels remain the same or go down. Whatever the latest diet gurus say, there is no magic formula for rapid, safe and permanent weight loss. As many individuals will testify, paying out for fad diets will see your weight come back just as quickly as it fell off, because they are not sustainable. Indeed, one of the major worries of following a popular diet is the negative impact it can have on your body. Many people try crash diets, which can make you ill as you dramatically decrease your food intake, leaving you too weak to function normally. Others exclude entire food types, such as meat and dairy, or carbohydrates, which depletes your body of vital minerals and vitamins, or provides an excess of one food type, such as saturated fats, which can increase the risk of heart disease. Here are seven simple ways to lose weight healthily – and keep the weight off! 1. Eat breakfast! Too many people skip this vital meal, which deprives you of good energy at the start of the day. Research shows those who eat breakfast are less likely to be overweight. 2. Cut down on the amount of fat you eat by trimming the fat off meat, switching from full-fat to skimmed milk, and using more low-fat spreads. 3. Swap white rice, bread and pasta for wholegrain varieties. Wholegrain takes more time to digest, so you feel fuller for longer. 4. 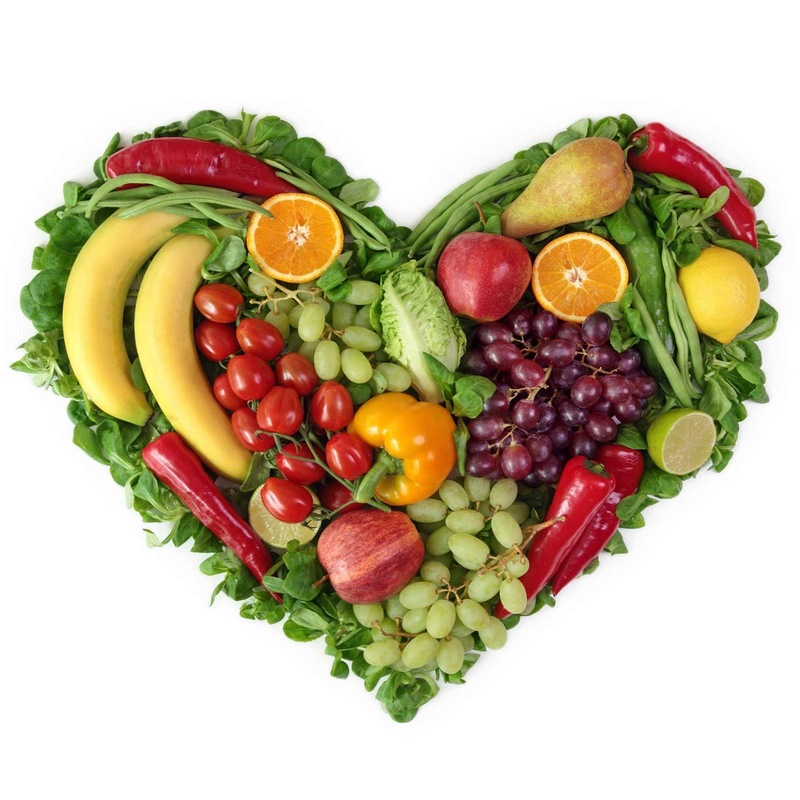 Have five portions of fruit and vegetables every day – vary what you eat to ensure you get a good mix of nutrients. 5. Ditch sugary drinks for lower calorie alternatives or, even better, for some sparkling water with a slice of lemon – refreshing and good for you! 6. Tempted to snack? Drink some water or a cup of tea first. Often we think we are hungry, but our bodies are merely thirsty. 7. Exercise regularly: aim to do 150 minutes of moderate-to-intense physical activity each week. If your Body Mass Index (weight divided by height squared) is over 30 and you are struggling to achieve weight loss through regular means, you can also consider trying a medically-approved diet aid. Some pharmacists are now authorised to supply Orlistat under the Weight Loss Patient Group Directive to those who are significantly overweight. This medicine, issued under strict guidelines, can help you to lose weight by blocking the enzymes in your gut which digest fat. Nearly a third of the fat can then pass out with your stools (faeces). The normal dose is one capsule (120 mg), three times a day with each meal. However, you do not need to take one if there is no fat in the meal or if you miss a meal. Many people will also take multivitamins to compensate for any nutrients that are lost when the undigested fat passes through your system. 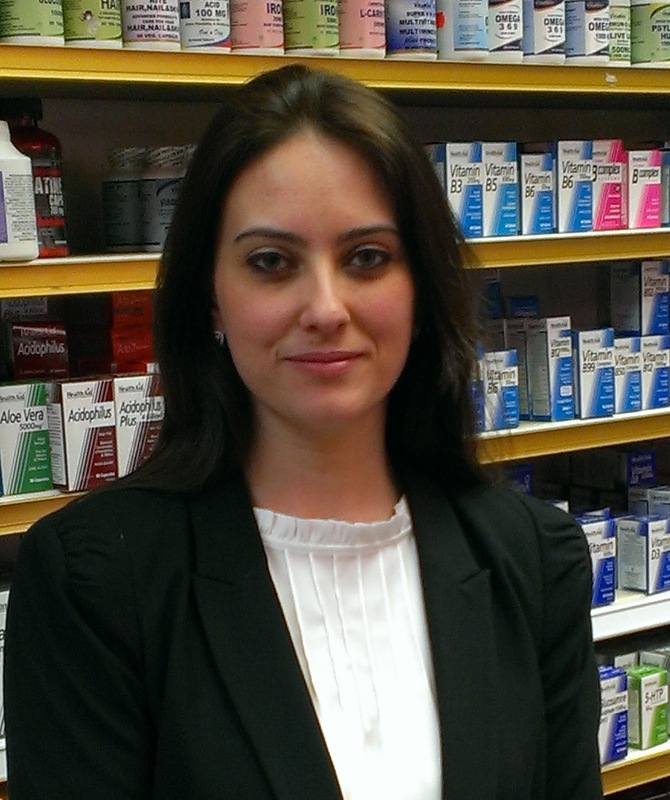 Talk to your local pharmacist, who will first ask you to complete a form. 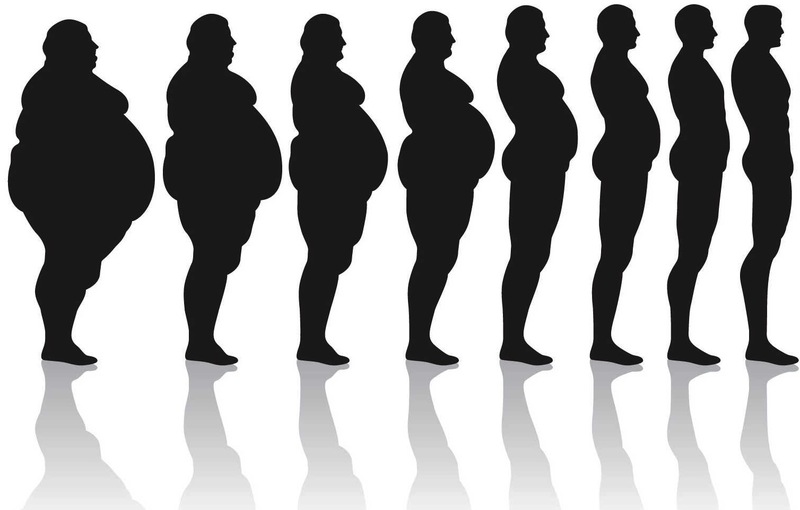 If you qualify, you will be set realistic targets for weight-loss and be regularly monitored. 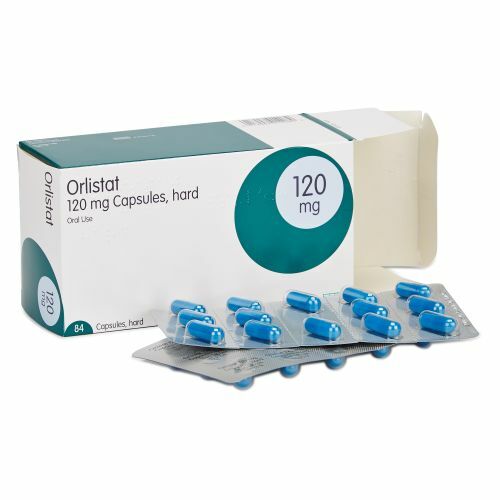 You will still have to diet and do exercise, but your body is given a major boost by Orlistat. Although the medicine doesn’t work for everyone, four in ten people who stuck to the guidelines did record a significant drop in weight. For more information, visit the Weight Loss section on NHS Choices online, which has lots of useful guides, as well as anecdotal stories about people trying different ways to lose weight. 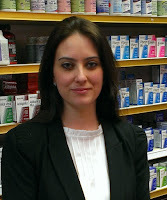 About the author: Feriha İbrahim is a fully-qualified pharmacist who, together with her family, runs Woodside Pharmacy – both branches are located in Leytonstone, London E11. 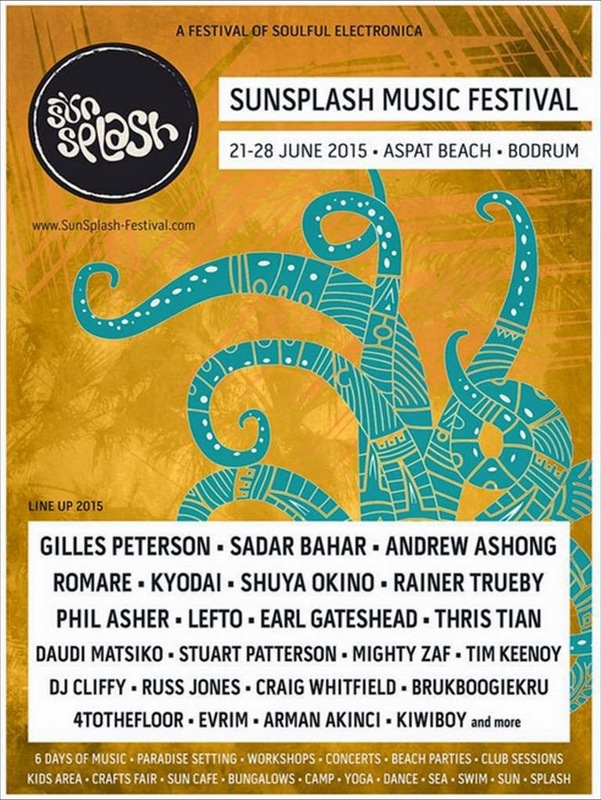 British DJ Norman Jay MBE describes it as the “biggest little festival in the world”. 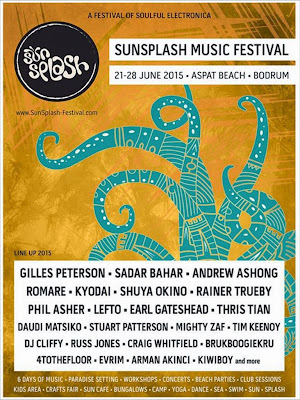 Created in 2009, each year 500 discerning music lovers gather in Turkey to hear dance music legends and underground heroes while soaking up the sun and sea. This year’s line-up includes the UK’s Gilles Peterson, Chicago’s Sadar Bahar, Romare, Earl Gateshead, Lefto, Kyodai (pictured), Shuya Okino, Phil Asher and Stuart Patterson. 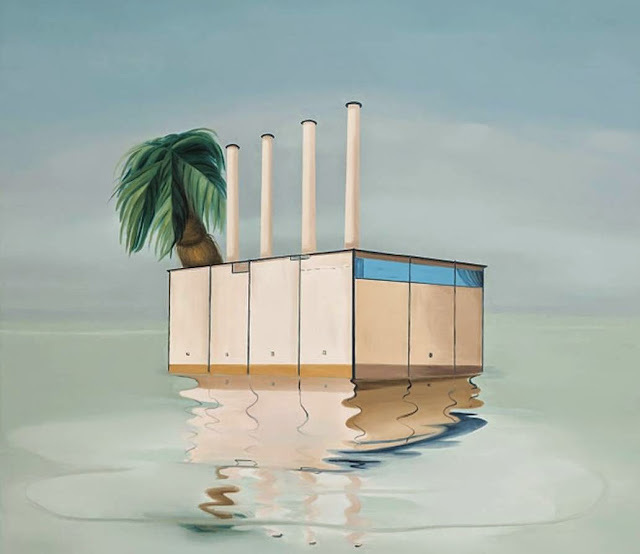 The setting is the beautiful palm tree-fringed Aspat Bay on the Aegean: chilled beats by day, beach parties at night, with Byzantine bath-house, yoga, and graffiti workshops all part of this intimate boutique festival experience. Entrance: day passes from £20 / £80 weekend pass / £130 week pass. Onsite accommodation and entry: £370-£600 per person, or entrance pass + £15 per day for camping. It’s not every day a film crew comes knocking on your door to ask for permission to film in your premises. It’s even less likely to happen if you are a mosque and the story is about gangland Britain. Yet that’s what happened to Gönul Guney, chair of the UK Turkish Islamic Trust, who was contacted by actor Martin Askew. He was starring in a new movie inspired by his own life that was being filmed in East London. Central to the story was a mosque. 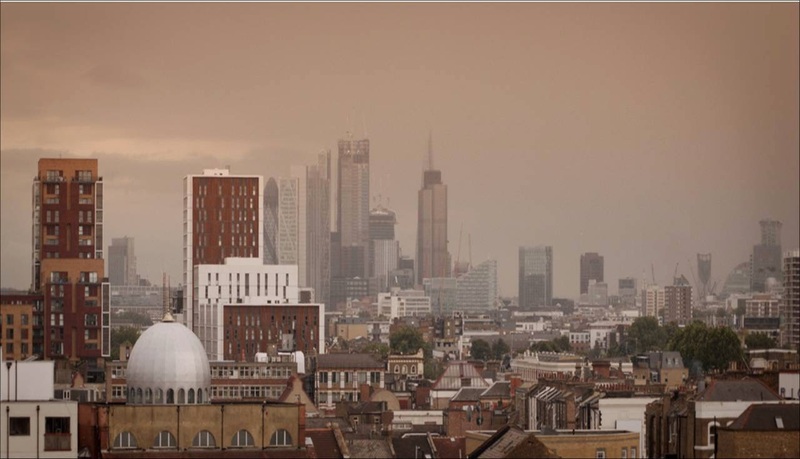 Cue Shacklewell Lane – the UK’s first Turkish-owned mosque. Gönul alerted T-VINE to the project in 2013: “When I first got the call from Martin, I thought it was a practical joke until he told me about his life and the storyline. Naturally, I was concerned about the potential negative comeback from the subject matter, but after speaking to [director] Andrew [Hulme], I was satisfied that the film would show Islam in a positive and good light”. While her board of Trustees and the congregation shared Gönul’s concerns, financial needs ultimately determined their decision. The mosque required urgent repairs and the film producers offered them a good deal. They hired the mosque’s school, located next door to the main worship hall, as their production base for six weeks. Filming also took place inside the mosque over four days, when it was closed to worshippers. Delving deeper, it’s clear the making of the film is as intriguing as the subject matter. You would think a real-life inspired story set in multi-cultural London that juxtaposes Islam against gangsterland would see a rush of support from the British film industry. Not so. Andrew said he struggled to get backing for the project. 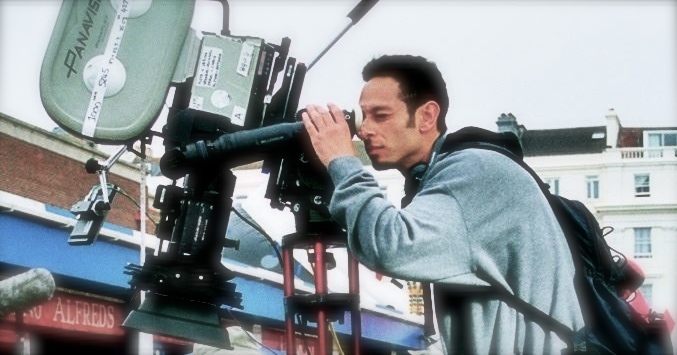 While this was his first feature film, Andrew is an award-winning editor whose career includes a crop of well-received indie movies, such as Control, The American, Acid House, Gangster No1, along with acclaimed TV dramas Appropriate Adult and White Teeth. But his track record was no match for British prejudice towards a film that portrayed Islam positively. He was forced instead to look abroad for support, finally securing the necessary finance from investors in France, Germany and Holland. With money in place, Andrew then set about finding the right actor to play his lead, ideally a fresh face. His casting team randomly stumbled across their man in East London. 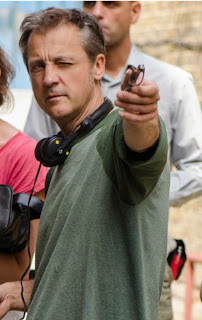 Frederick received extensive guidance in the role from Martin Askew, who turned from being a co-writer to starring in the film as well, as bad Uncle Jimmy. Although Snow in Paradise isn’t an accurate representation of his life, we are curious about how Martin Askew ended up converting to Islam. The nephew of revered Eastend gangster Lennie "The Guv'ner" McLean, Martin is now a practising Sufi Muslim, his path to Islam shaped by his experiences in the mosque off Barking Road. Any final pearls of wisdom? Martin responds by reciting the words of the prophet: "Happy are those who find fault with themselves instead of finding fault with others". There’s more than a whiff of surrealism about Akdeniz’s visually distorted paintings. Her esoteric ensemble of elements neither seeks to portray realism, nor present a linear narrative, but rather a theatrical mise-en-scène. The subjects are sewn together to create a montage of references to contemporary culture, their cryptic visual language ripe for unpicking by an attentive audience. Her new London exhibition include works titled Ready-Made Planet (pictured) and He Called My Name and My Heart Stood Still. 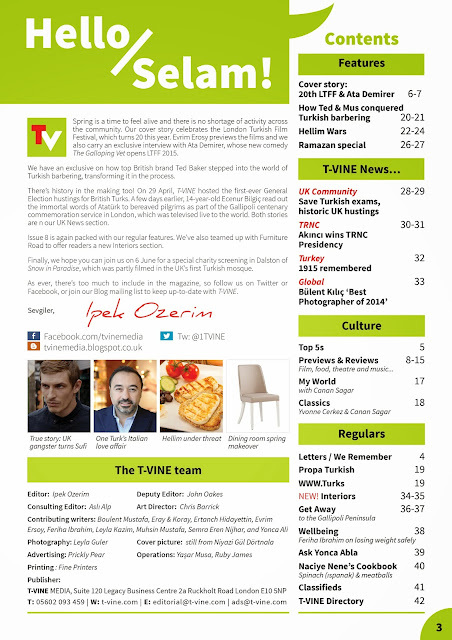 T-VINE issue 8, 2015, is out now! The latest edition of T-VINE magazine is now out! Pick up a FREE copy from any branch of TFC, Yasar Hallim and Akdeniz supermarkets, as well as many other locations in London and beyond. See here for the full list of T-VINE stockists. Alternatively subscribe and have a copy sent to your home/office directly. Send an email to info@t-vine.com with SUBSCRIPTION in the subject line for details. This issue's front cover is of comedian-turned actor and scriptwriter Ata Demirer who talks to T-VINE about his new film Niyazi Gül, The Galloping Vet and his co-star, the "fearless" Demet Akbağ. There's a three-page feature on hellim - how Turkish Cypriots are fighting to retain their rights over this vital export. A Ramazan special - why is this month so holy to Muslims - courtesy of Imam Abdul from Shacklewell Lane Mosque in Dalston - the UK's first Turkish-owned mosque. In this issue, we have a new Interiors section thanks to Furniture Road, along with all our regular features - cultural previews and reviews, news, Eray & Koray's #PropaTurkish, Naciye Nene's Cookbook, Ask Yonca Abla, Get Away and much more! See below for the full Contents. The negotiations to reunite Cyprus resumed on Friday on an air of positivity as the two leaders agreed on a number of confidence-building measures (CMBs). Among them was a decision by the Turkish Cypriot side to scrap visas at the Green Line checkpoints. 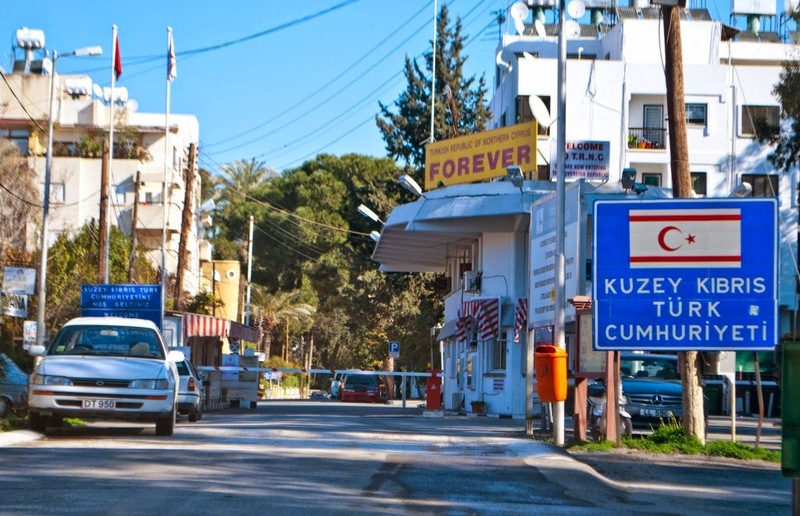 From midnight last night, 16 May, people crossing to and from the Turkish Republic of Northern Cyprus were no longer required to get a stamp on their travel documents or temporary travel permits. Instead, they will just need to show their travel documents or Cypriot identity cards to pass through. The issue had been a sticking point for many Greek Cypriots who do not recognise the TRNC and had refused to cross the border due to the visa requirement. Others had complained about the length of time needed for the TRNC police to inspect and stamp each individual’s travel documents, creating hold-ups at the borders. The move was warmly welcomed by many including the Turkish Cypriot Tourism and Travel Agents Association. Their head Orhan Tolun told an Anadolu Ajans reporter that “queues at the crossings will be a thing of the past”, helping to speed up the flow and number of people crossing between the two sides. 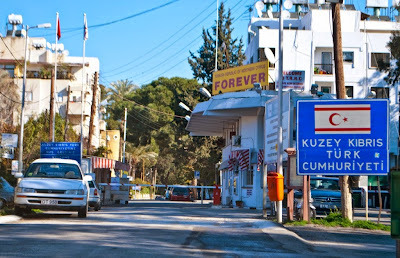 The borders were opened on 23 April 2003 following decades of the two communities living apart after the 1974 War, which had led to the creation of two ethnically-split sides in Cyprus. Other important developments included the Greek Cypriot side handing over co-ordinates detailing where 28 minefields were located in the foothills of the Five Finger Mountains. These had been planted by the Greek Cypriot military in 1974. This and further CBMs had been announced by the Greek Cypriot side two days after the conclusion of the TRNC Presidential elections in April. They included transferring the administrative control of Muslim places of worship in the south to Evkaf – the Turkish Cypriot Islamic Trust located in North Cyprus. Turkish speakers would also be hired to assist Turkish Cypriots requiring government services in the South, helping to fulfil a long-overdue constitutional requirement that both Cypriot official languages – Greek and Turkish – are used in the Republic of Cyprus. The resumed Cyprus talks – the first between Greek Cypriot leader Nicos Anastasiades and newly-elected TRNC President Mustafa Akıncı – took place at Ledra Palace on Friday 15 May. They were conducted under the auspices of the United Nations and supervised by the UN Secretary-General’s Cyprus Advisor Espen Barth Eide, who afterwards wrote on Twitter: “Excellent atmosphere in the first formal leader's mtg between @MustafaAkinci_1 and @AnastasiadesCY. 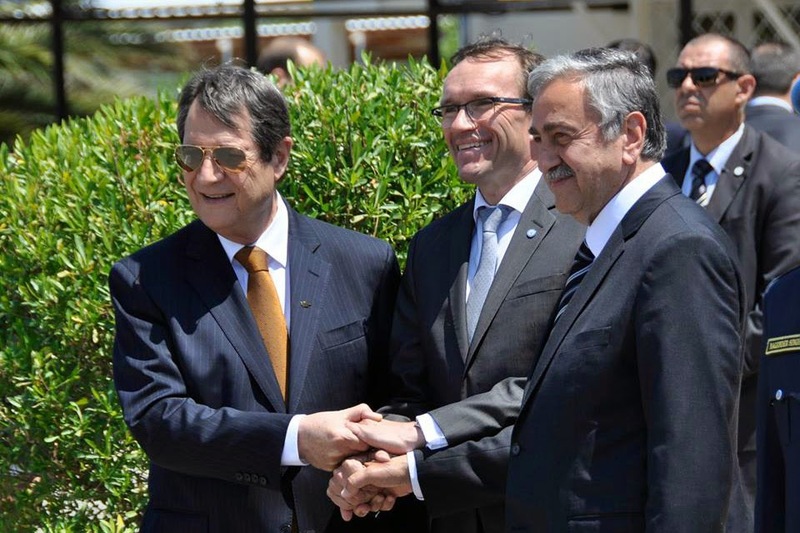 Focusing on their joint vision 4 #Cyprus [sic]”. The two Cypriot leaders have agreed to meet at least twice a month in what will be a ‘leader-led process’ to reunify the island, building on their first formal meeting on Friday where they shared their vision for a united federal Cyprus. One of the first actions the new Turkish Cypriot leader Mustafa Akıncı took was to appoint Özdil Nami as his new Chief Negotiator. 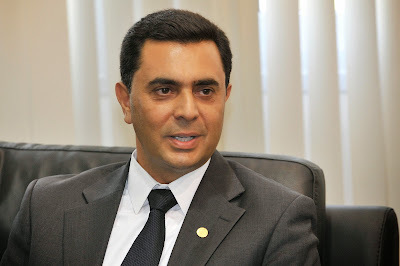 Nami, an MP for the Republican Turkish Party (CTP) and the TRNC’s Foreign Minister, has since resigned from his government post to take up the role. Negotiator for President Derviş Eroğlu, who lost the elections in April. Born in 1967, Nami is widely respected as a progressive force in Turkish Cypriot politics. A business graduate from the Boğaziçi University and with a Masters degree in Finance from the University of California, he has cut his teeth in Cyprus politics through a variety of positions. Between 1997 and 2000, Nami served as a Presidential advisor to Rauf Denktaş. He has headed up a Turkish Cypriot business group, and between 2008 and 2010, he was part of President Talat’s negotiating team. A CTP MP for Lefkoşa since 2003, Nami was selected to represent the Turkish Cypriot side at the European Parliament since 2005. Following the country’s general elections in 2013, he was made the TRNC Minister of Foreign Affairs. While none of the four Parliamentary candidates of Turkish heritage were successful in their bid to become a British MP in last week’s General Election, a record number of politicians from Black and Ethnic Minority (BME) backgrounds have been elected. There are now 41 BME MPs, up from 25 in 2010. Ten of the 18 new MPs are female. Labour has eight new BME MPs, with seven from the Conservatives, and one from the Scottish National Party. Alan Mak makes history by becoming the first MP of Chinese origin to sit in the House of Commons, having won Havant for the Conservatives. Labour’s Kate Osamor, of Nigerian heritage, won in Edmonton, North London, where there is a huge Turkish community, with her vote surging to over 25,000 – up by nearly 8% on the 2010 elections. Although there was minimal change in voter turnout for this General Election, up one percent to 66% from five years ago, initial analysis by political lobby group Operation Black Vote (OBC) suggests there was a steeper increase in the number of BME voters in 2015, which bucked the national trend. According to OBV, a number of ethnically diverse constituencies saw marked increases in voter turnouts: East Ham was up by five per cent; Brent North went from 62% in 2010 to 63.5%; Ealing North was up to 65.7% from 63% in 2010; and Birmingham Ladywood – where Isabel Sigmac was standing – saw turnout shoot up from 48% five years ago to 52.7% in 2015. While coming second in a Labour stronghold, Sigmac, originally from Turkey, helped increase both the share and number of votes for her Tory Party. Similarly, Labour’s Ibby Mehmet, of Turkish Cypriot heritage, secured an increase in the number of votes in Old Sidcup and Bexley – a safe Tory seat. Earlier this year, OBV mounted a major campaign to encourage more British BMEs to vote. They undertook a nationwide tour on a bus, reaching out to diverse communities to help them to register to vote. 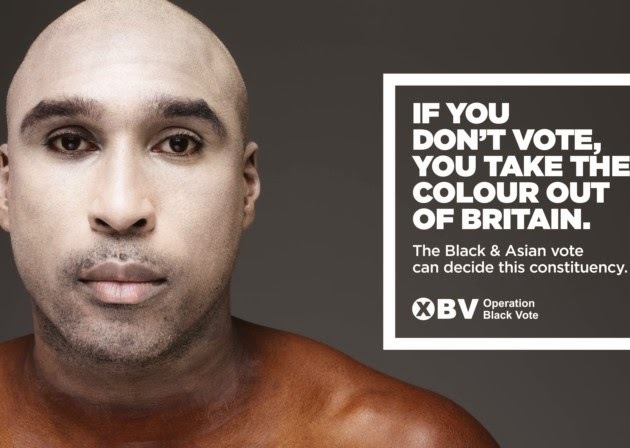 They were supported by a bold and much publicised poster campaign created by Saatchi & Saatchi that featured black personalities such as David Harewood and Sol Campbell ‘whiting up’, pushing the message to BMEs that they need to engage in the political process if they want to have influence on issues that matter to them. Gönül Daniels (Conservative), Turhan Özen (Liberal Democrat), Isabel Sigmac, and Ibby Mehmet were all selected to fight seats where their main opponent commanded huge local support. While they were not able to overturn such large majorities, their involvement, publicised extensively in the British Turkish press, helped galvanise wider interest in these elections. There is an ongoing trend of British Turks becoming more politically active. In May last year, a record number of candidates from Turkish, Turkish Cypriot and Turkish Kurdish backgrounds stood in the Local Elections. Of the 51 candidates, 32 won, virtually doubling the number of British Turkish councillors, which had stood at 17 in 2010. Baroness Meral Ece-Hussein OBE is currently the only British Parliamentarian of Turkish heritage in the UK Parliament. She was appointed a life peer in 2010. The on-screen pairing of Ata Demirer and Demet Akbağ spells box office gold in Turkey. The duo first worked together in the 2004 hit Vizontele Tuuba. 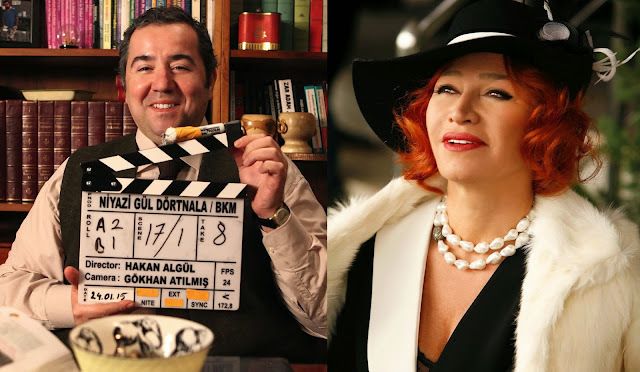 Since then, 42-year-old Demirer, a stand-up comedian-turned-scriptwriter and actor, and actress 55-year-old Akbağ have appeared in five more motion pictures, among them some of the country’s biggest-grossing movies, including comedy hit series Eyyvah, Eyyvah. Eyyvah Eyyvah 2 was Turkey’s biggest film in 2011, with its predecessor and successor scoring top three annual box office listings. 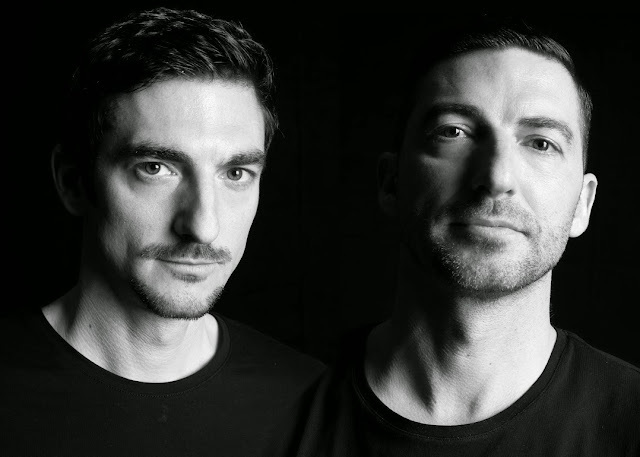 To date, the series has generated receipts in excess of $45 million for the film’s stars, its director Hakan Algül and their studio backer BKM. That winning combination is back for new comedy Niyazi Gül Dört Nala (Niyazi Gül, The Galloping Vet), which opened the London Turkish Film Festival last week and goes on general release in Britain today. We caught up with the two lead stars on the red carpet at the film’s world premiere in Istanbul. Ata Demirer (AD): It’s based on a TV character I created. In the full-length feature film, we see a chapter in the life of Niyazi Gül, a veterinary surgeon who lives in Izmir and teaches university students, while researching into a formula, a new medicine for animals. It’s during this research that he gets caught up in all sorts of dramas. Demet Akbağ (DA): my character Sultan Şahmerdan is a wealthy landowner with a farm and horses. She’s been around. She crosses swords with an old flame, Rıza Kabakoz, following a horse-racing bet, resulting in her meeting with Niyazi Gül and the plot thickens from there. What inspired you for this movie - have you had experience with animals or vets? AD: Yes, with animals. And, as an animal lover, I’ve also been around vets all my life, so I’ve been able to observe their work. A challenging scene with geese, but Ata Demirer says: "Working with humans isn’t that easy either!" Working with animals wasn’t easy, we’re sure: any memorable moments? AD: Working with humans isn’t that easy either! If you know how to handle animals, they are not at all difficult to work with. DA: Obviously animals play a big part in the movie. One of the most challenging scenes is when the geese chase after us. That was hard work. It helped doing the filming on a beautiful sunny day in Izmir. This is the sixth time you’ve worked together. How does it feel and what do you most admire about each other? AD: I feel a very high level of happiness [working with Demet]. The thing I love the most about her is she will do anything for comedy. She is fearless. DA: [Ata] has a very entertaining, very funny personality. We have a lot of fun off-camera, which no doubt you will see when the DVD is released. I love Ata as a person, friend, brother and a colleague. It’s always a pleasure working with him and our friendship has really grown since the first Eyyvah, Eyyvah. It’s a big sister-brother relationship – he was raised as a good young man! And as long as we enjoy it, I’m sure we’ll work together on many more projects. Who’s influenced you the most, who do you admire outside Turkey? AD: I love watching Ben Stiller. Also Woody Allen, Al Pacino, Marlon Brando. Action-hero films are all the rage in 2015. 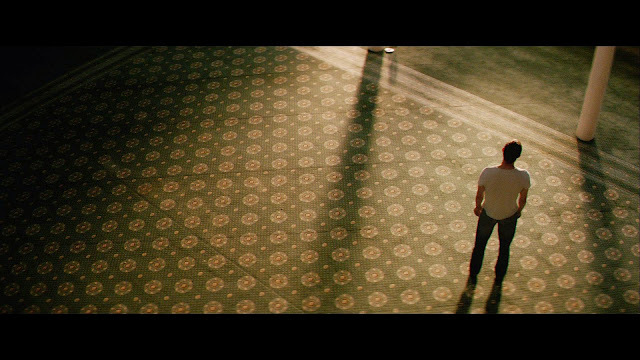 Would you ever play an action-hero? AD: No. I’m a comedian. How do you view the Turkish film industry? DA: There’s lots of comedy, which brings big box office success. It upsets me that serious dramas with good storylines struggle [to be a commercial success] in Turkey. I’d like to see more of these types of films made. But overall, I’m really pleased about the growing interest in Turkish cinema. Many older actresses in the UK and USA complain about the lack of quality roles. Is it also true for Turkey? DA: Yes. We actresses also share the same complaints as Hollywood women. It’s the law of nature. It’s up to us women to write more and better roles for women, and things aren’t going to change until more of us pick up paper and pen. It’s not surprising the sector is dominated by men though: there are many more male scriptwriters and actors than women, so it’s natural they will write roles and create characters based on what they are most familiar with. What do you love best about London? AD: London’s famous for its pubs. Irish pubs, London pub. Pub, pub! Niyazi Gül, The Galloping Vet goes on general release in select cinemas across London from Friday 15 May.